kevin is using Smore newsletters to spread the word online. Come down our book swap event, during the book swap, you can find new text books for your next school year and leave your own books for others to enjoy. Find books presents for family members. Bring a book, get a book - that's the idea behind the book swap. 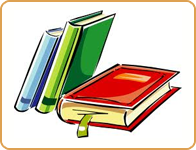 Bring a book or a few that you'd like to trade or sell; browse through books that other participants bring. You may take one for each book you bring to the swap. Please make sure the books you bring are in good condition. Visit us at: www.blswap.org to swap, sell or donate your books to your follow students.